Who doesn't know about the aggravating problem with cable tangle?! A lot of cable comes out of devices such as televisions or computers which leads to the stereo system, connected devices and multiple sockets. 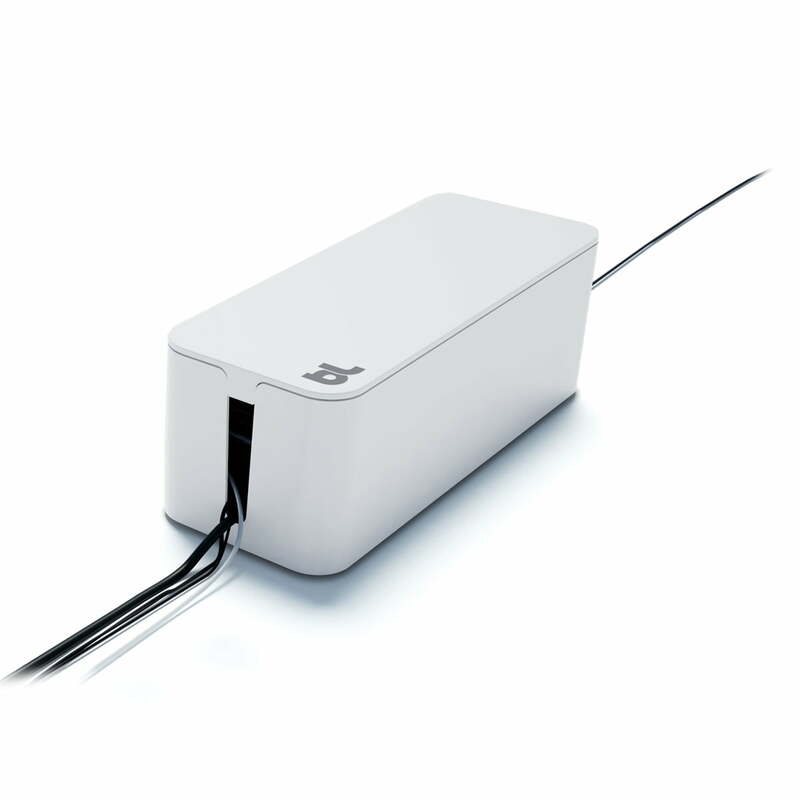 Bluelounge now has a solution that finally has everything in the right order: The CableBox is a simple, nicely shaped box with a top and a slot in every side. It is available in black and white and is just as big as a shoe box. You can put standard multiple sockets as well as devices such as a DSL router or a transformer into it with ease because of its dimensions. The cable tangle has finally lost when the lid is closed. In times of new technologies having a large number of cables, multiple sockets, etc. can hardly be avoided. 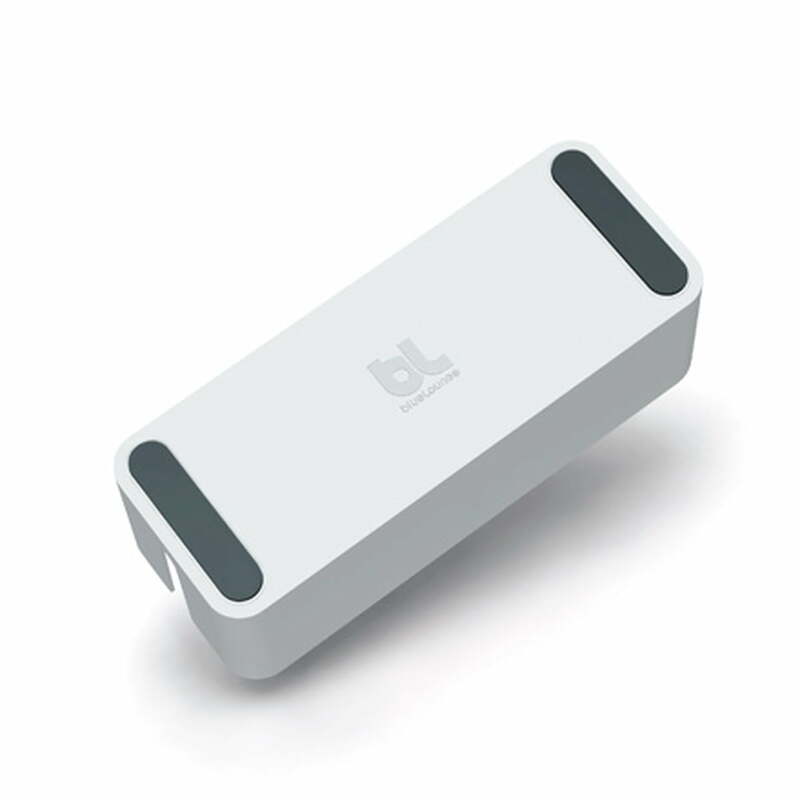 The Bluelounge CableBox orders it and makes the ugly cable tangle disappear. 265 of 426 customers have found this review helpful. It cleaned up the clutter nicely under my desk. It looks nice, and not too "plasticky". Fairly simple concept but it works. 214 of 403 customers have found this review helpful. no matter the design -- low quality toxic smelling plastic makes it garbage. impossible to breathe around this box. disappointing. 134 of 343 customers have found this review helpful. I have also experienced the smell that Dess describes (which faded away after a few days). But I have just received a bunch more of them, and they no longer smell at all. The CableBox by Bluelounge puts it in order. It makes multiple sockets, cables and transformers simply disappear and is closed with a nicely shaped lid. Thanks to the CableBox by Bluelounge cables and other electric devices that are famous for tripping over, can be cleverly stored. Cables are guided and multiple sockets hidden. 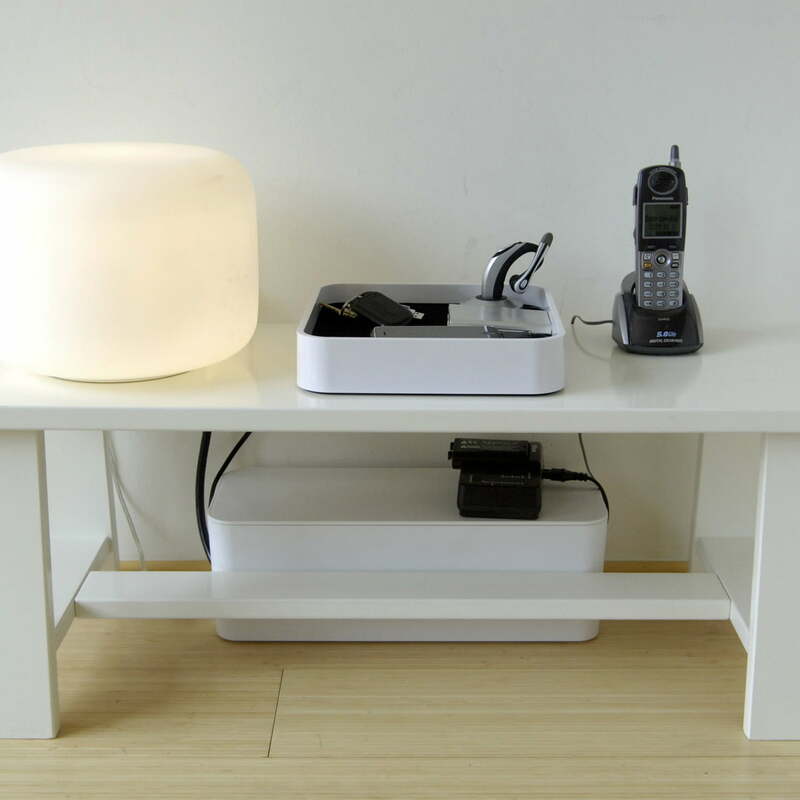 The CableBox by Bluelounge has room for electric devices and cable that otherwise would only lie around in a chaotic mess. Up til now there was no particular spot for this chaos. There are some some rubber stoppers on the underside of the CableBox for cable. So the CableBox doesn’t slide and stays in place also when you pull on the cable. So many electric devices are collected over the course of time.. 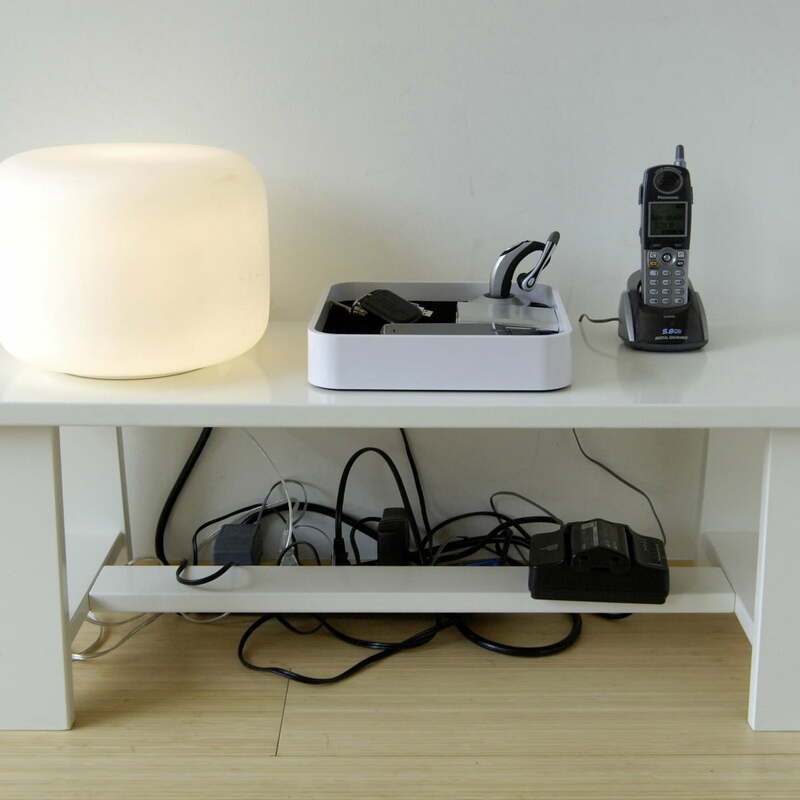 But the appearance of such a chaotic mess ought to soon be a thing of the past, thanks to the CableBox by BlueLounge. The chaos is over with the CableBox! 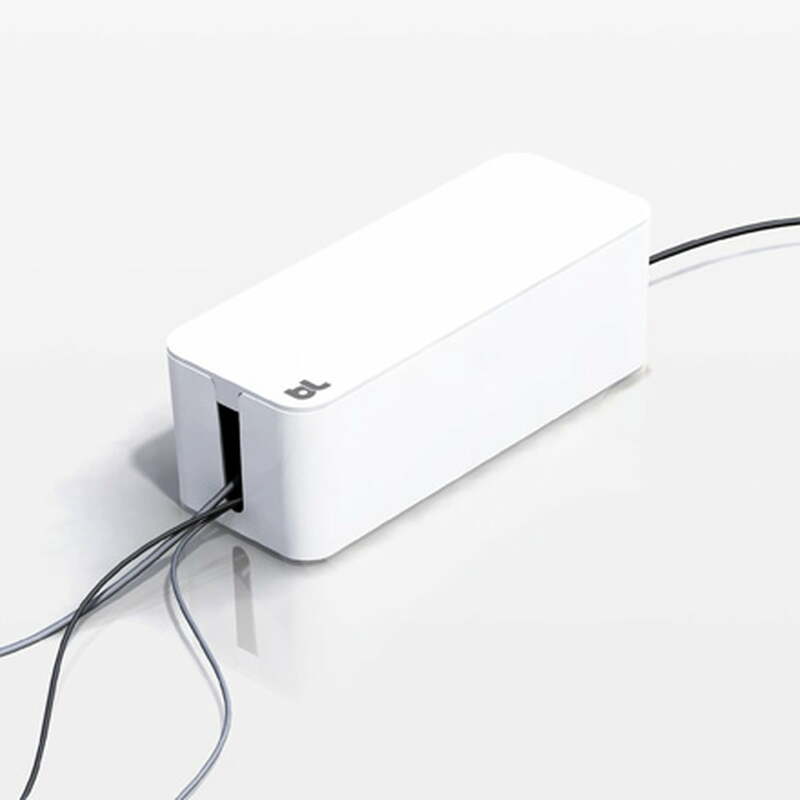 The white CableBox by Bluelounge fits in perfectly with its surroundings and hides the irritating cables and multiple sockets that are impossible to live without these days.